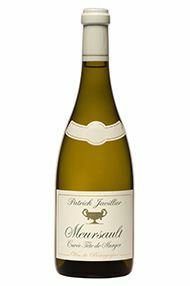 The Wine Advocate - The latest installment in a long-standing marriage of wine from Casse Tete and Les Murgers, Javilliers 2006 Meursault Tete de Murgers smells of toasted grains, malt, honey, and lightly caramelized peach. Surprisingly bright and saline on the palate, it unites fresh citrus with its lower-toned, roasted elements in a finish of impressive persistence if not yet consummate harmony. Anywhere from 3-7 years of bottle aging would seem worthwhile, but even in the short term, this may well deploy its considerable forces more effectively. The dense, complex 2005 has a clear edge here, though.